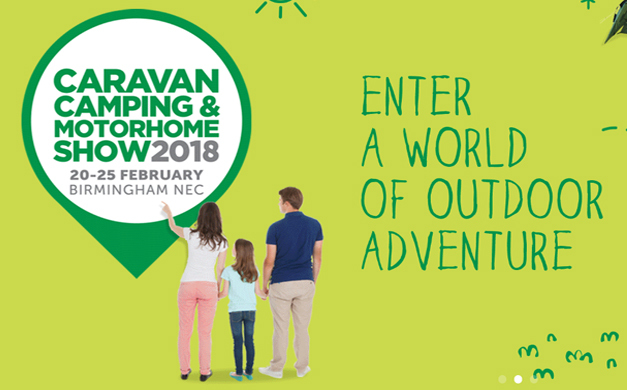 NEC Caravan, Camping and Motorhome Show 20th-25th Feb 2018! Once again we will be attending the Caravan, Camping and Motorhome Show in Birmingham, at the NEC arena. It's one of the industrys biggest indoor displays of caravans, caravan holiday homes & lodges, trailer tents & tents in the UK! Based at the NEC in Birmingam the Caravan, Camping and Motorhome show is a great day out for all! Whether you are an all season caravaner, camping novice or a motrohome veteran there is something for everyone at the show! This year there is a new Holiday Park Experiance, which includes a huge dispay of caravan holioday homes, luxury lodges and glamping options. There are also lots of fun free activities to take part in! It has everything from climbling walls, live campsite cookery to bushcraft session and howing lessons… even a few celebritity apperances! The Attwoolls specialist have teamed up with one of our suppliers this year, Kampa helping on their stand to answer any questions you might have! Come along and visit us in Hall 1 and see what we have to offer! For tickets please visit the NEC website here and for more information about the show see the Caravan, Camping and Motorhome Show’s official website here.